True to form, I was out photographing the window displays on November 30. I will share all of the participants here and I expect to hear which one you like best, so don’t be shy! Their theme is “Remembering Christmas in the 1950’s” According to facebook friend who seems to be in the know, Bud Henkels, all items in the window are form the 50’s, including post-war Lionel operating train layout. There are also a few pictures of Deck’s at Christmas from the 50’s, some of the items in the window today are also in the old photos! 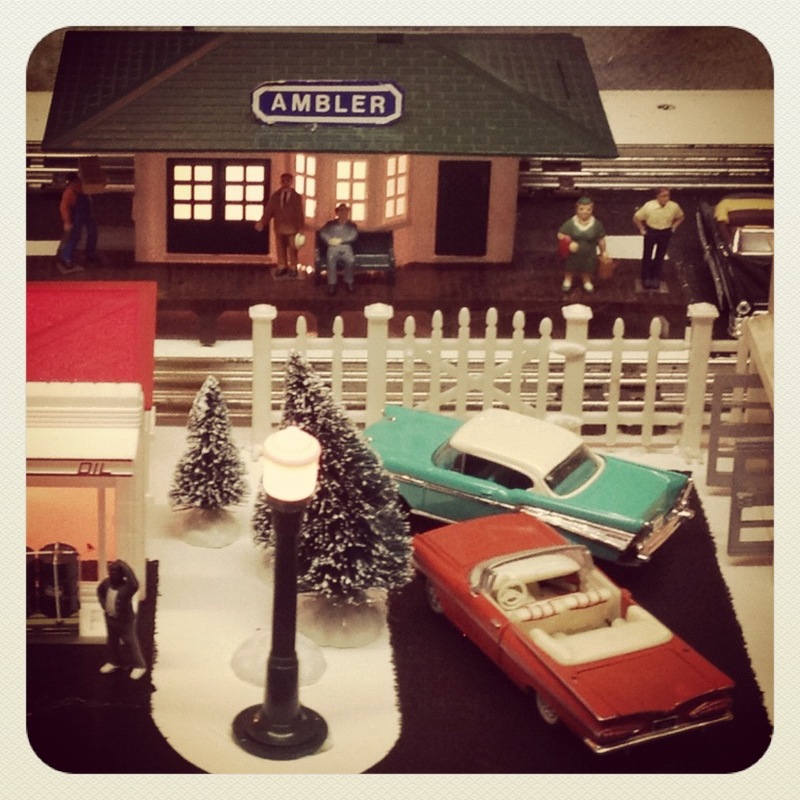 This entry was posted on Friday, December 2nd, 2011 at 1:49 pm and is filed under Ambler, Events. You can follow any responses to this entry through the RSS 2.0 feed. Both comments and pings are currently closed.